Can we start with how much I love Pinterest! Because I really really love Pinterest. 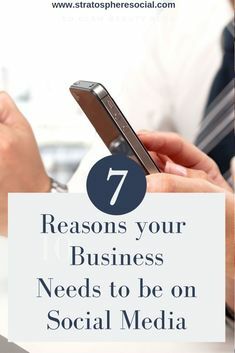 Other than just being an everyday source of information and inspiration it happens to be one of the best ways to drive traffic to your blog, small business website, or ecommerce store. Pinterest accounts for almost 90% of my blogs source referral traffic. Here’s what I did to explode my growth on Pinterest. Pinterest is different from other social media platforms for a few reasons. It is a slow burn site. When you post a new picture or blog post on sites like twitter or Facebook you have a finite amount of time to reach your followers and drive traffic, then the post gets lost in the shuffle and the platforms stop putting it in people feeds. With Pinterest your pin lives forever and can continually drive traffic for years! It is possible for your pin to go viral in the days, months or even years after it is created. You do not need thousands of followers to be able to drive traffic to your site or increase your reach. You can achieve a reach in the 10’s or 100’s of thousands while only having a few hundred followers. Lastly Pinterest is not actually a Social Media Platform! I know it gets lumped in with Social media all the time, but in reality it functions as a Visual Search Engine. Think about it, how ‘social’ are you on Pinterest. Most of the time you head over to the site, type in what you want to look for and pin some pretty pins to your boards. You are not interacting with people on Pinterest per say, you are clicking on links and heading over to their shops or blogs which is where the actual interaction takes place. Understanding these things about Pinterest will help you to achieve your goal of increased exposure and traffic to your site. Pinterest accounts can definitely take a while to grow but that doesn’t mean you cant do it on fast forward if your optimize! Here is an example of a brand new mom blogs Pinterest account that grew almost 700% in just 14 days with almost 500 people engaged daily! Clicks to her site have increased 1300% in just 14 days! UPDATE: We are up to daily 82000 viewers, steadily increasing even during the summer slump! Click through and Saves are up by 500% as well! For a different account I was able to grow the Pinterest account over 7000% in only 60 days and increase daily viewers on the blog by 8000%. Want to know the secrets to growing on Pinterest in a short amount of time? If you have a business, whatever it is, then you are going to need a business pinterest account. You can’t be pinning to a personal account! With a business account you get increased functionality like analytics and featured boards. Also the profile just looks so pretty now. Setting up Rich Pins is important as well. You can do this by validating your website address on a business account. This will allow Pinterest to pull in additional information about your pin from your site and it goes a long way in making your pins look more authentic and desirable. To be successful on Pinterest you will need to pin often and pin consistently. (Ain’t nobody got time for that manual pinning) I have been able to explode my growth with the use of Tailwind. Tailwind allows me to schedule a day, week, or months in advance so that I have time to enjoy a life away from Pinterest. I can pin my own content and curated content. You can check out tailwind here. Learn how to maximize your Pinterest growth and productivity using Tailwind and why its the number one tool I recommend for Pinterest! 3. Complete Board and Profile Overhaul. Pinterest SEO is totally a thing. It is a massively powerful search engine remember? You will want to make sure that you are using keywords in your name, Pinterest profile, board titles, board descriptions, pin descriptions and even in the pin graphics themselves. Make sure to be as specific as possible. Instead of using the keyword ‘home decor’ you should use ‘rustic home decor on a budget’ (for example). Remember to use hashtags on your new Pins because they will get significantly more distribution the first day they’re saved to Pinterest. 1-2 hashtags that are completely relevant to that specific pin is recommended. Hashtag feeds are displayed in chronological order so newest content goes on top. This also means there is no need to go into your old pins and add hashtags. It won’t do anything. Quality is more important than quantity when it comes to hashtags so make sure they are relevant to your content. The more beautiful and enticing your pin is, the more re-pins and clicks it will get. You will need to make sure you are using Vertical Images of the correct pin size (600×900, 732×1102) in order to optimize your pins for Pinterest. Using a large legible font is so important. When people can’t read what the pin says they are less likely to click the link. Industries like Fashion or Home decor need well lit and beautifully displayed pictures of their products. (Pinterest users love to be inspired remember?) You don’t even need to add text in the actual graphic, let your products speak for themselves. You can easily research top performing pins in your niche by searching them out on Pinterest. The first ones to come up are the ones with the most engagement (re-pins, saves and clicks). Don’t be afraid that you can’t design a beautiful pin either. PicMonkey is an awesome online program for designing graphics. Easy to learn and use. No Photoshop skills required. Canva Is another great program to make fast graphics. They have hundreds of templates that you can use if you have no previous graphic design experience. Does all that seem like a ton of work on your already overloaded plate? Working your Pinterest strategy is super fun but can be completely time consuming and tedious if your just not that into it. You can learn about my social media services and read about why outsourcing might be for you. You can contact me here. Did this post help you? Have any questions? Let me know in the comments! I did the same thing before I learned about that. Wasted so much time putting hashtags on my old pins. You live you learn. lol. These are great tips. 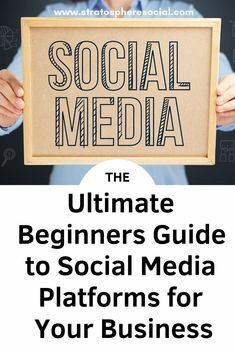 I just created my business account on Pinterest and will use these tips to try and increase the traffic. I never thought of adding hashtags to your pins. That was an awesome tip!